When you experience the glory of God, your life is transformed, and you are empowered in remarkable ways to fulfill His purposes for you, increasing the influence of His kingdom on earth. God designed human beings to live continually in the glory of His presence. This book will answer the longing in your heart to know Him better and reveal how you can exhibit His supernatural power as His vessel of glory. The Glory Of God by Guillermo Maldonado was published by Whitaker House in January 2012 and is our 20801st best seller. 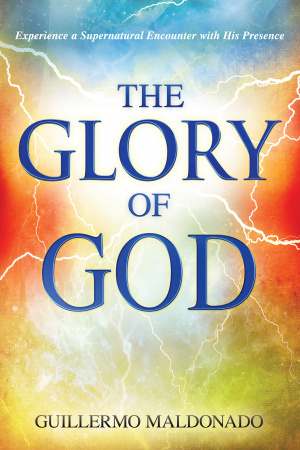 The ISBN for The Glory Of God is 9781603744904. Be the first to review The Glory Of God! Got a question? No problem! Just click here to ask us about The Glory Of God.